Digital Digest is 10 Years Old! 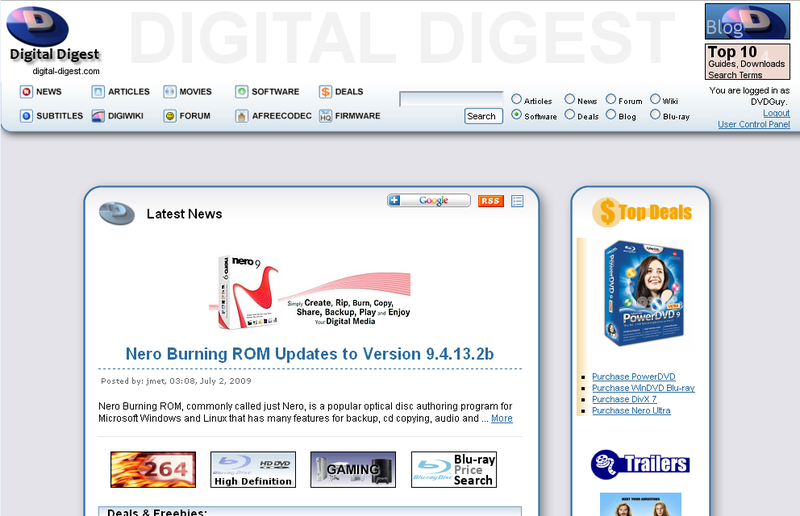 Today is Digital Digest's 10th Anniversary. It was 10 years ago today, in 1999, that the very first Digital Digest site was launched, then known as DVDigest (and it looked something like this). 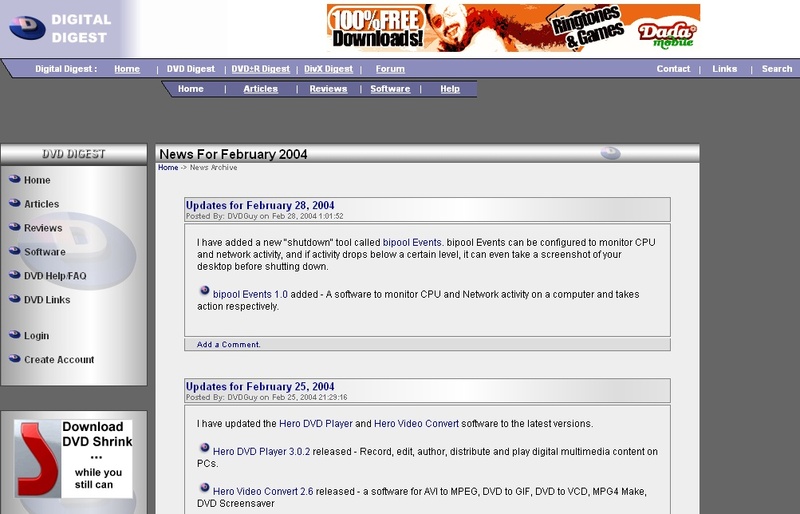 Since then, so much has happened that the current Digital Digest bears almost no resemblance (in terms of content and design) to the original, but the central idea behind the website still remains the same - to help people with all their (high and not so high def) DVD (or Blu-ray) and digital video needs. There has been lots of changes in the last year. Most notable, is our launch of several new sections including the new Deals & Freebies section which aims to bring you the latest discounts (and free stuff) for everything from movies, to gaming, to computer hardware and software. The second new section is our new Amazon Blu-ray Price Index, which tries to save you some extra bucks when you do your Blu-ray shopping at Amazon.com (and with the economy the way it is, every cent save counts). In terms of the world of digital video, there has been lots of changes as well. While Blu-ray is still trying to establish itself as *the* home video format (and the sales stats show it is improving, albeit slowly), competition in the form of video-on-demand and Internet streaming means that it's had a hard time. There are a million and one lawsuits going on at the moment in the battle between studios and torrent sites like The Pirate Bay, but we'll soon start to see a flood of verdicts come in that could have a major impact on issues such as privacy, user rights, and the freedom of the Internet. But for now, it's celebration time here at Digital Digest. And to celebrate the 10th anniversay, Digital Digest will be offering 10 Amazon.com gift certificates to 10 lucky winners in our new 10th Year Celebration competition - get you entry in soon and good luck! As it is the custom on Digital Digest birthdays, we've put together a collage of the different looks of Digital Digest throughout the years for you to look at (and laugh at us for our immature designs).